Entered 5 pieces and all 5 pieces were recognized as a finalist and a Silver or Bronze honor. FUSIONWRX, a Flottman Company received three bronze and two silver awards for public relations, print collateral-commercial folded printing-dimensional direct mail, special publications and integrated marketing campaign. 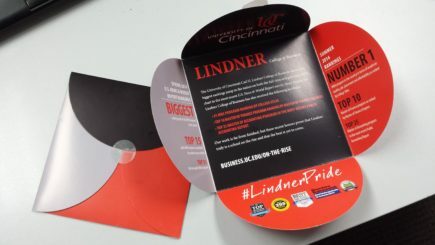 The University of Cincinnati Carl H. Lindner College of Business’s multi-channel integrated marketing campaign programmed by FUSIONWRX received 2 Bronze awards for two individual, dimensional direct mail pieces. These commercial folded printing pieces incorporated unique design formats. 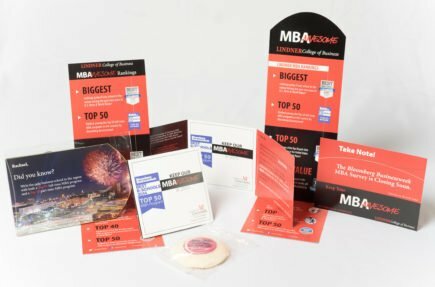 Both were components of the larger multi-channel integrated marketing campaign that also included hosted events at the Cincinnati Reds baseball games and Busken Cookies mailed to the alumni to reward their participation. The entire campaign received a Silver Award for Integrated Marketing Campaign. 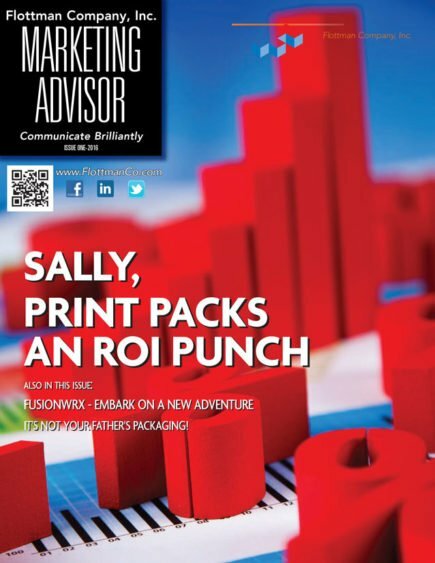 Flottman Company with the assistance of FUSIONWRX received a Silver PRSA Award for their quarterly external newsletter the Marketing Advisor. This piece received rave reviews from the judges for its ability to communicate and connect with its target audience. The third Bronze Award honored the FUSIONWRX wrap-up report highlighting the features and benefits of the UC Lindner College of Business multi-channel integrated campaign. This report was used by the University to demonstrate the success of the campaign and emphasize the importance of their efforts. The University of Cincinnati Carl H. Lindner College of Business Integrated Public Relations and Awareness Builder Campaign receives a Silver Award form the Public Relations Society of America.